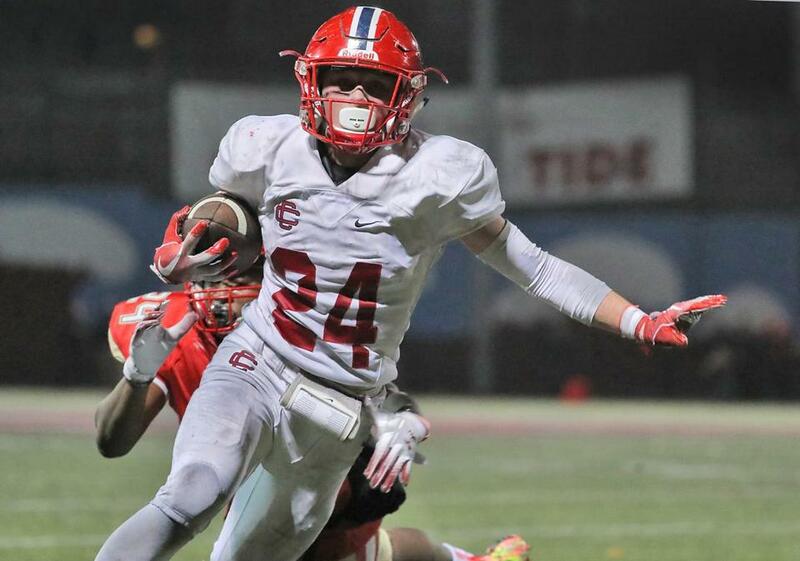 After stunning two-time defending champion Everett last Friday, Anthony Caggianelli (24) will attempt to lead the Central Catholic football team past second-seeded St. John’s Prep in the Divison 1 North final. Story lines and predictions for Friday’s and Saturday’s EMass sectional football finals. ■ Kings of the South? ■ Another classic at Doucette? ■ Clicking at the right time? ■ Can West Bridgewater stop the triple option?